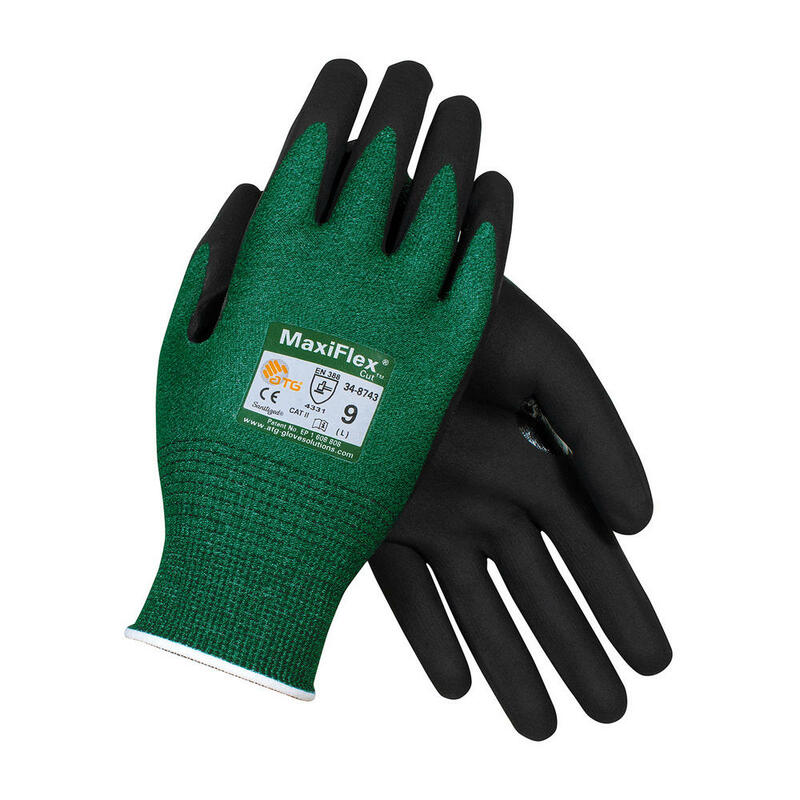 ATG MaxiFlex Cut Glove is a 25cm long, engineered seamless knit glove with premium nitrile coated foam grip on the palm and fingers. A highly flexible glove like the very popular MaxiFlex Ultimate, but with additional cut resistance. 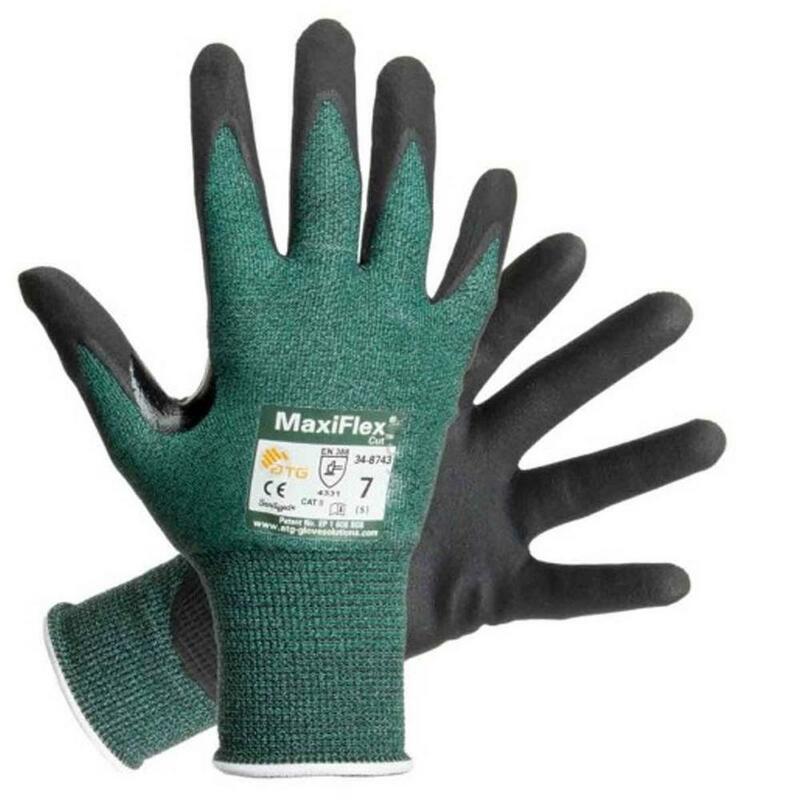 The new MaxiFlex Cut 34-8743 from ATG: you get protection and comfort with Cut 3 resistance. The MaxiFlex® Cut is a super thin (just 0.75mm thick!) cut glove, so is very flexible, dexterous, and most important, comfortable. ATG 34-8743 MaxiFlex Cut Protection Gloves complies to EN388 4.3.3.1 and EN420 safety standards. If you cannot find your product from ATG gloves. Also you can check for more Gloves here - Portwest Gloves. More safety products - you can check out our Flame Retardant Accessories Category.